I make this recipe when I am pressed for time. This is my way of cheating. I buy the meatballs at Ikea. 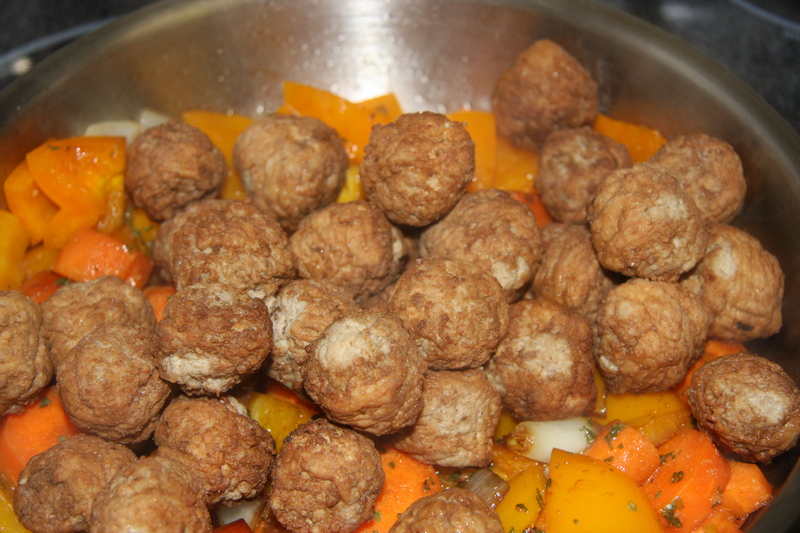 Having to make something quick today I thought of meatballs because I have them in my freezer, so all I have to do is defrost and cook them. Easy enough. The sauce will have fruit and some veggies in it, served over rice and it’s done. I think we all like to do this from time to time. I’m afraid though that those times are happening more often for me. I love to make more involved meals but with the way things are these days we all have to simplify. My husband the Mayor, loves these one pot meals and if you add fruit then that’s an added bonus. I always, always make extra so I don’t have to cook for a couple of days. I know there are you out there who don’t care for leftovers but many of us do and it makes things so simple and easy. This recipe doesn’t take long. I think you’ll like it. 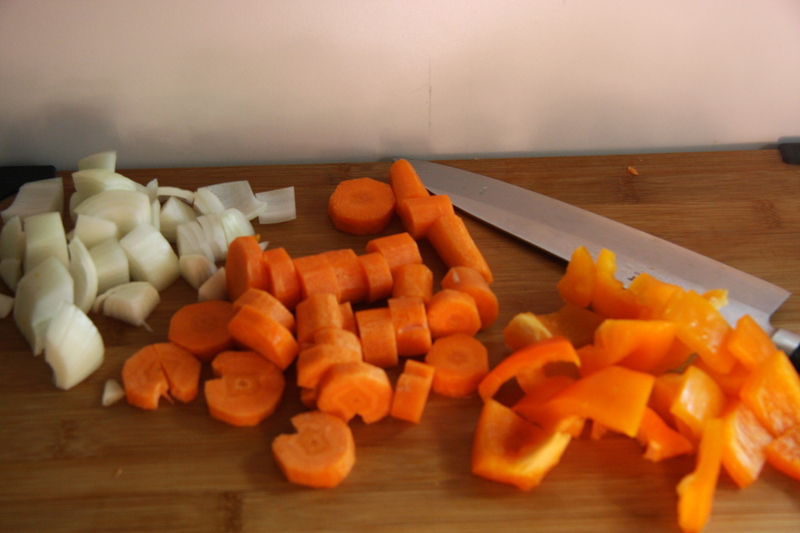 Chop 1 onion, 2 carrots, 1 pepper of choice. Chop into large pieces. 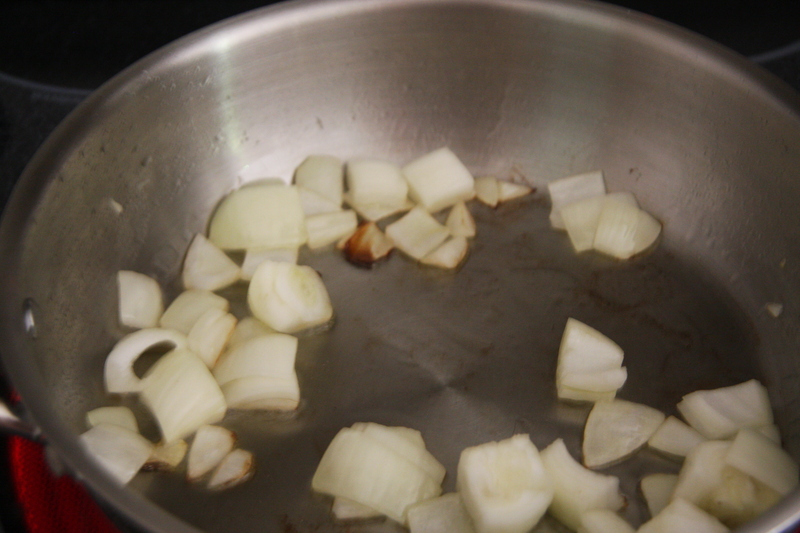 Into a pan add a couple glugs of olive oil and fry the onion. Next add the garlic, carrots and peppers and fry for a couple of minutes. Adding 1-2 tablespoons of soya sauce , 1-2 tablespoons of tamari sauce and 1 1/2 cups of chicken broth next. Mix well. Don’t forget to add the canned pineapple, (19 or 28 oz.) and it’s juice. 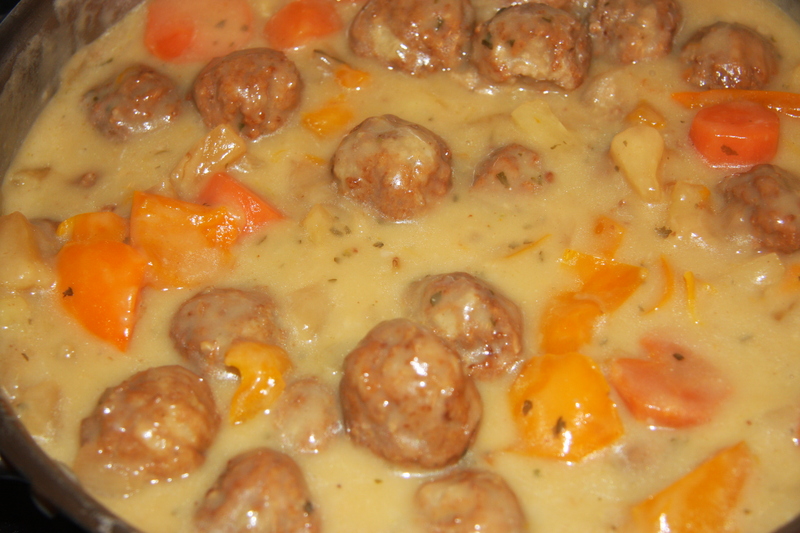 Add meatballs, as many as you like and salt to taste. Mix well and partially cover. Bring to a boil and cook for approximately 40 minutes at a medium-low heat. Into a jar add 1/2 cup flour and 3/4 cup water, (slurry). Mix until there are no lumps. 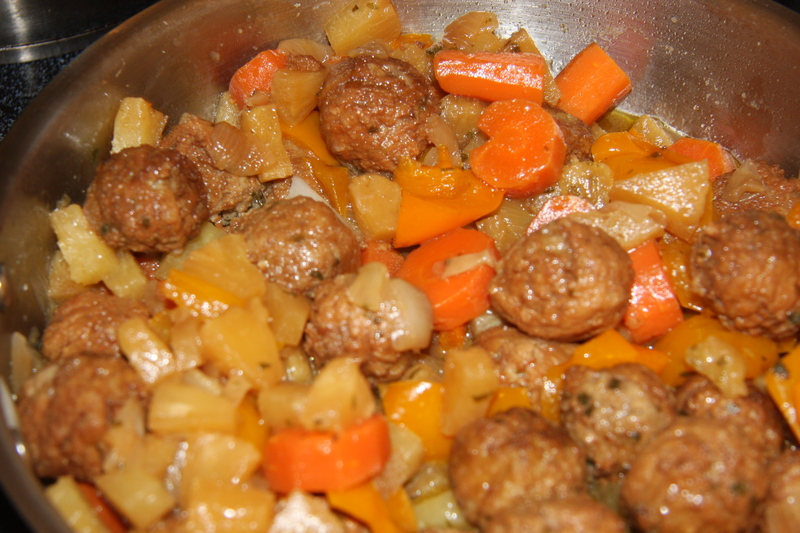 Slowly add some of this a little at a time to the meatball mixture on the stove. Constantly stirring. It will start to thicken. If it is not as thick as you like it when it is cooked for a couple of minutes then add a little more of the slurry. If it gets too thick then add water to thin it out. 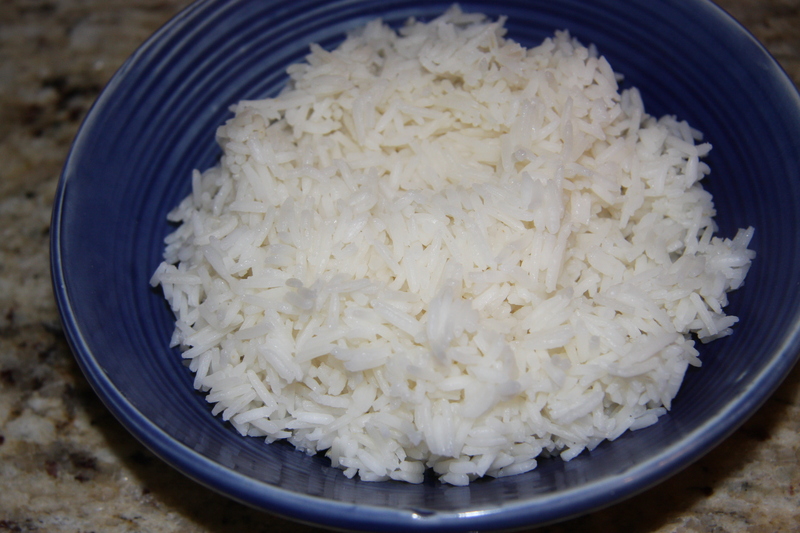 Cook some rice, put it into a bowl. 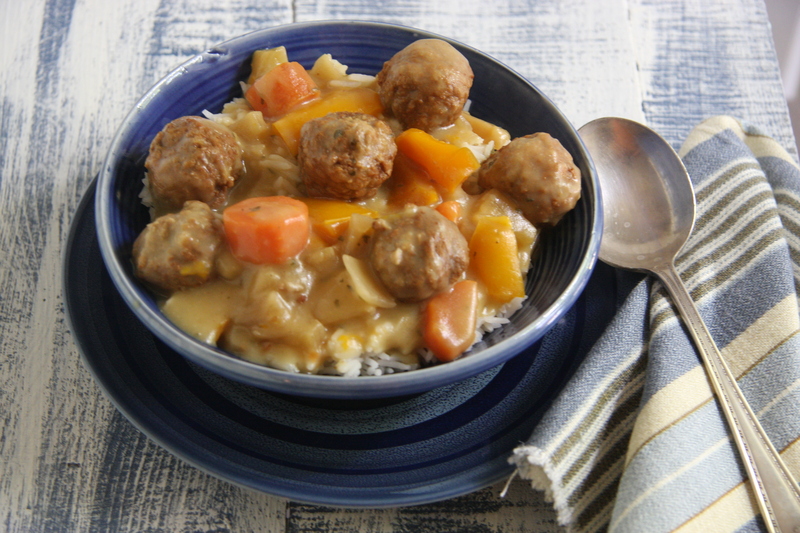 Top it with the stew and you have a quick and easy meal in about 40 minutes. 1 Can Of Pineapple, 19 Or 28 Oz. Put some olive oil in a pan and heat. Next adding your onion and frying for a few minutes. 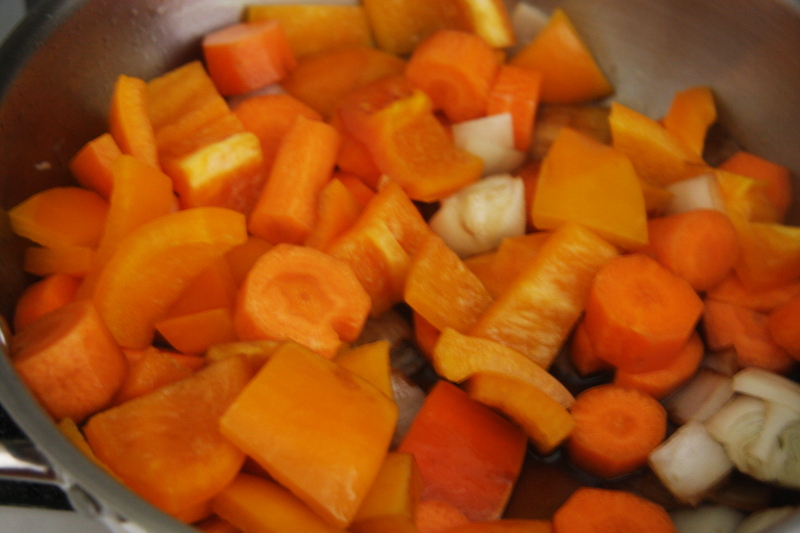 Add peppers, carrots, garlic and fry for a couple of minutes. Next add your soya and tamari sauces. Mix well. 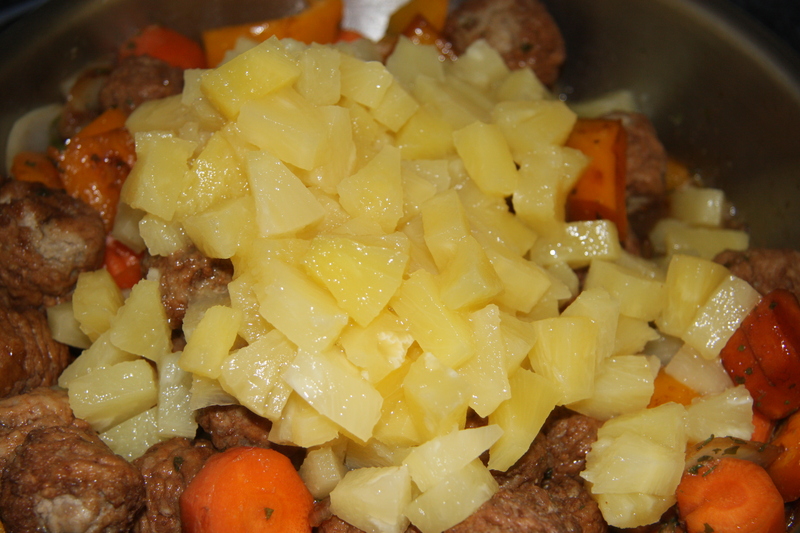 Then add the pineapple and it’s juice, the meatballs and the chicken broth. Mix again and partially cover cooking for 40 minutes at a med-low heat. After 40 minutes add the slurry a little at a time and mixing and cooking until the desired consistency is reached. If the sauce is too thin add more slurry and cook and mix a few more minutes. Or if it is too thick, just add some water. Prepare some rice according to package directions and when done place on a serving dish topped with the meatball stew.